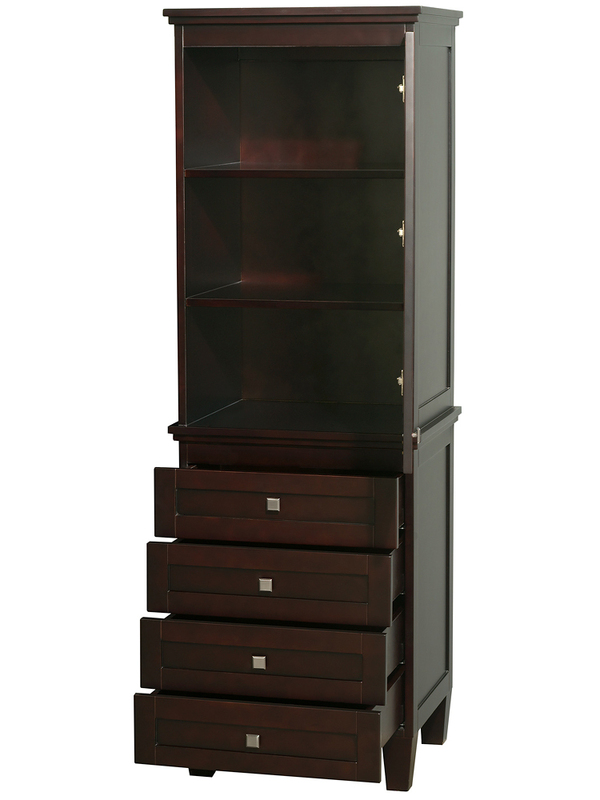 It's easy to see the attractiveness of the Acclaim Linen Tower. 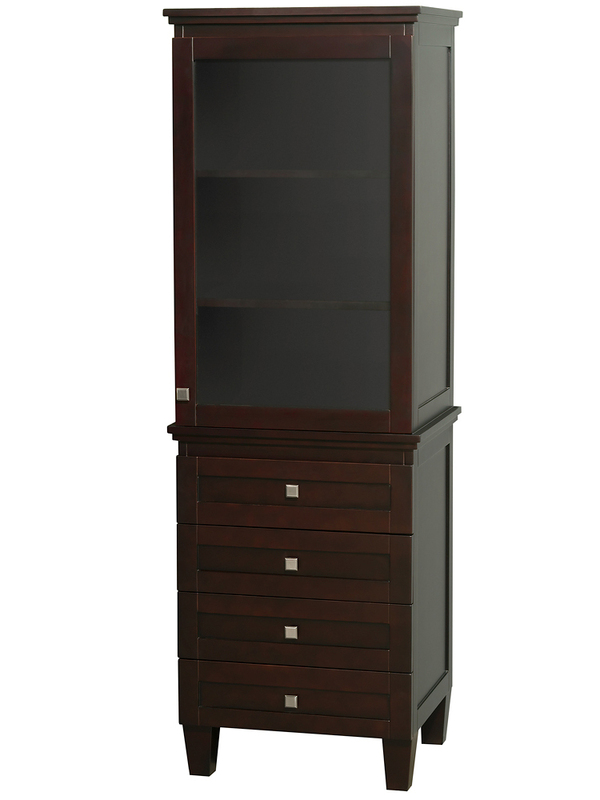 Made with a transitional style in mind, this linen tower offers a top glass door cabinet with three separate compartments and four lower drawers. 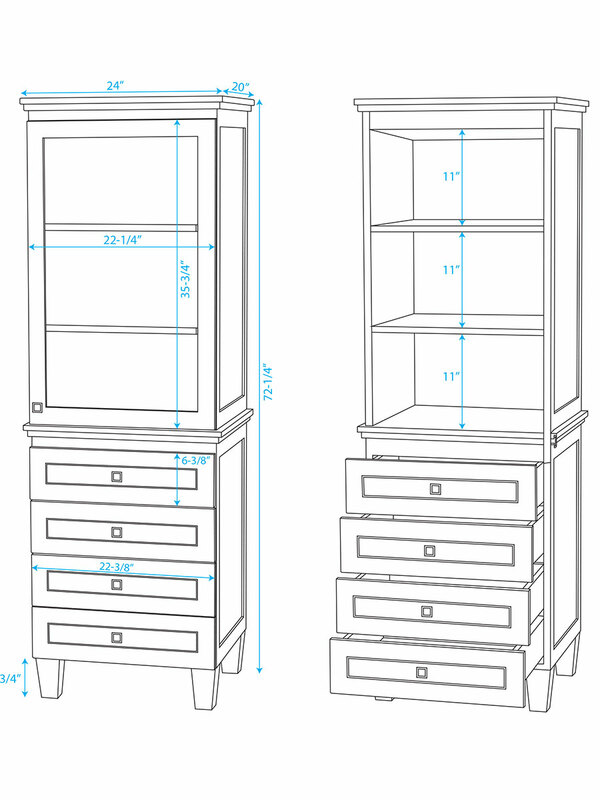 Each drawer and the cabinet door is decked with a beautiful Brushed Chrome finished drawer knob. Modern elements blended with traditional essences give the Acclaim Linen Tower a look that's as stunning as it is functional. Match it with any of our Acclaim Vanity Collection.